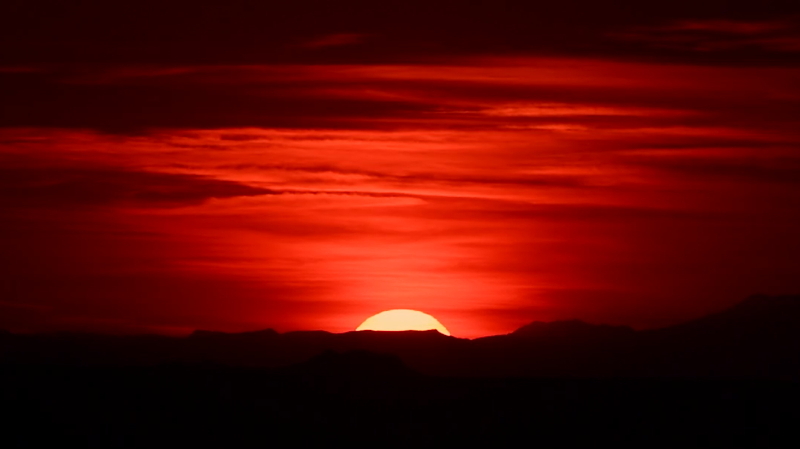 Friday night, 29 March 2019, was cloudy. After sunset I returned to the observatory and prepared the D850 DSLR for prime focus imaging. 1856 MST: LX600 ON, StarLock OFF, High Precision OFF. Slewed to the star Regulus and SYNCed the AutoStar. 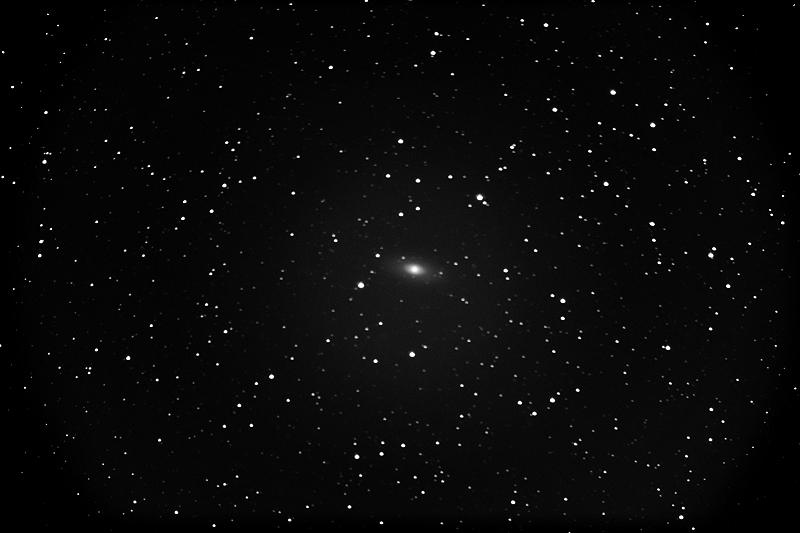 Then slewed to NGC2683 (galaxy) to check its clearance (near the zenith) from the dome. It was OK. 1930 MST: mounted the D850 at prime focus, focused on Regulus, and locked the 12" primary mirror. I also tweaked the alignment of one of the finderscopes. 1947 MST: Zodiacal Light was visible. 1955 MST: High Precision ON. Slewed to NGC2683. 1956 MST: StarLock ON. There is an optical flare at the right from a bright star outside of the camera field-of-view. 2005 MST: StarLock OFF, High Precision OFF. 2009 MST: Stella Wi-Fi ON. Used SkySafari 6 Pro on my iPhone to GOTO the star Zeta Puppis. SYNCed the AutoStar on the star. 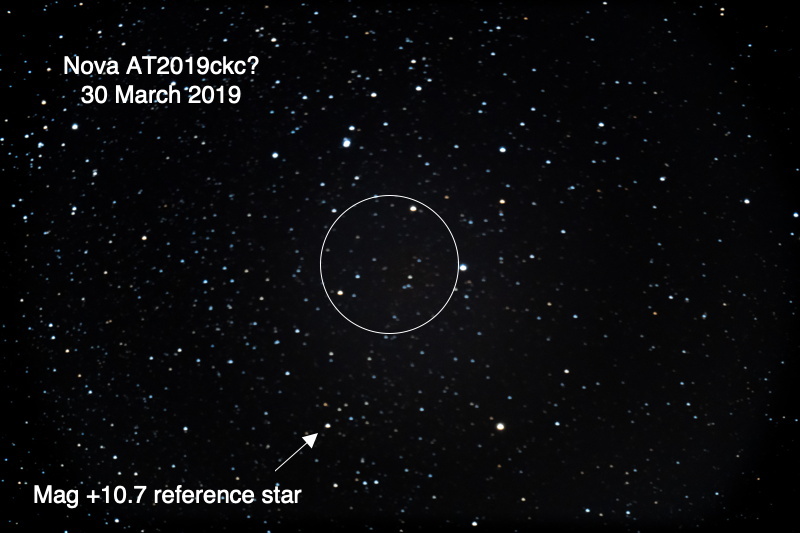 I then used SkySafari Pro to GOTO the location of Nova AT2019ckc (RA 8h 11m, 33.5s, DEC -32° 44' 35.2"). The last reported magnitude of the nova was +10.9. The nova should appear near the center of the circle in the image. A Mag. +10.7 reference star is indicated in the photo. However, the nova may have faded as all the stars shown on the photo appear on star charts. 2022 MST: Wi-Fi OFF, StarLock OFF. 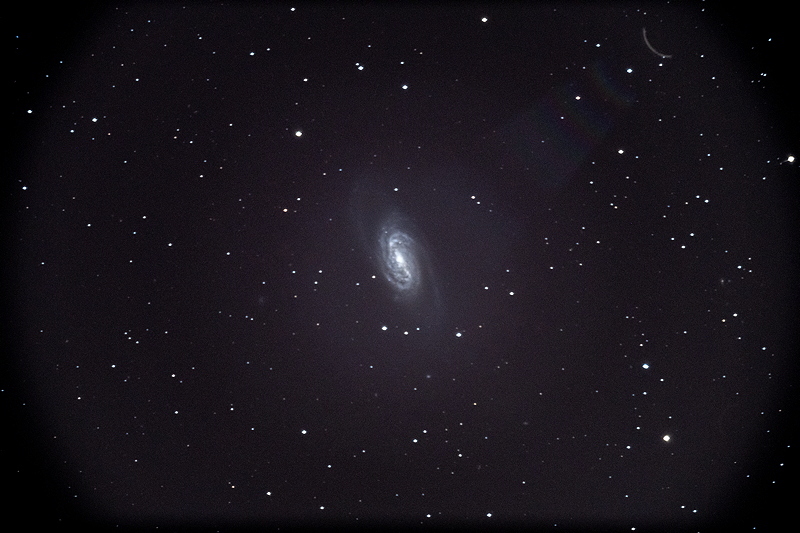 I then resumed galaxy imaging. 2027 MST: High Precision ON. 2029 MST: StarLock ON. 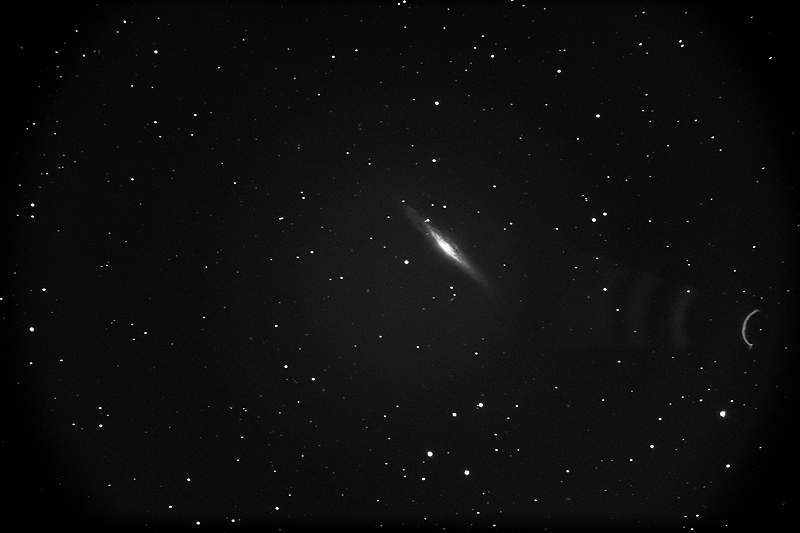 I had planned to do more galaxy imaging but seeing was not good. Autoguiding was erratic. 2111 MST: StarLock OFF, High Precision OFF. 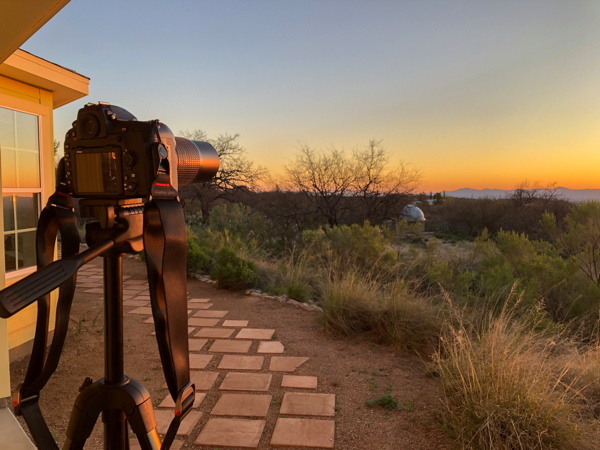 I have been invited to give a talk about my observatory at the 3 May 2019 meeting of the Tucson Amateur Astronomy Association. The meeting is open to the public. I will post more details when available.